Despite the complexities of tracing families before surnames were acquired (generally not until the nineteenth century in the Baltic region), the RIIS surname comes with attached Estonian folklore — folklore that explains why and how an early individual could leave traces of his existence. I am doing my best with the newly found "popular tradition" to decipher the weird syntax and the personal and place names yielded by online translations. I don't think it's time to call in a living, breathing translator for this yet. The lineage has more pressing holes to address before connecting to Tiit Kolgiks (see Part One). Words and phrasings in quotation marks are from the Estonian folkloric accounts, that is, the translations thereof. "Tiit Kolgiks" or "Tiit Kolk" (born ca.1650) was the apparent progenitor of the family in Baltic lands. It's said the man was a Swedish knight-soldier; there's mention of the Great Northern War (1700-1721). He came to a place in what is now Estonia, a village called Sandra on the Raudna river, in a large area called Viljandi. Whatever his real name was, the people there called him Tiit Kolgiks. 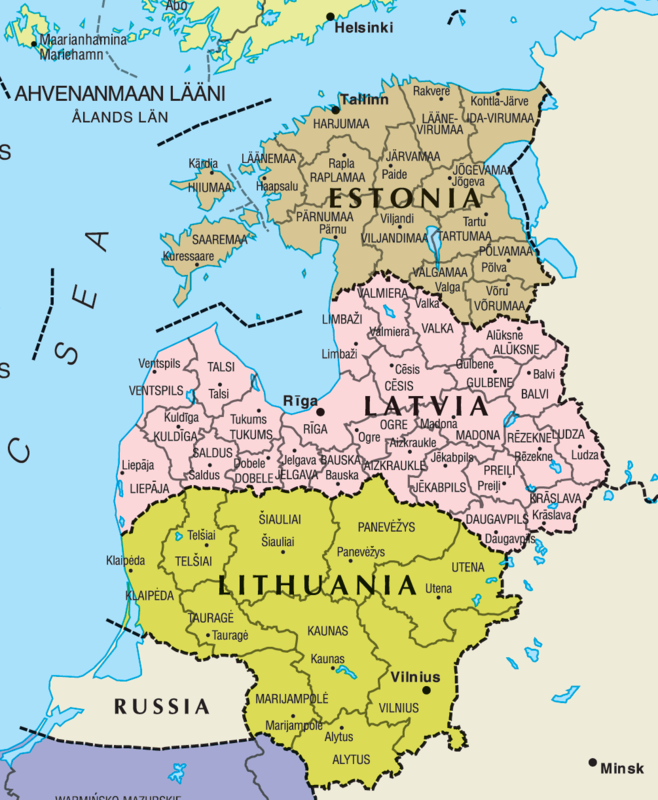 The two countries as we know them, Estonia and Latvia, were long known as Livonia. The Great Northern War (1700-1721) was a power struggle between the Swedish and Russian empires whereby the Swedes lost control of Livonia. He made yourself into a wooden house with a spacious and large glass windows to put down, which at the time before the thing was seeing. Tiit's grand house sounds almost like a manor house itself. Historically, the Vastemöisa estate, one of the oldest in Livonia, was located in the old county of Viljandi (Viljandimaa) and parish of Suure-Jaani; there were twelve manor estates in the parish. Each estate would also have a number of farms. Additional information becomes more puzzling. Tiit fell one day while working on horseback, "driving a large mallet." The resulting injury to his hip (lameness?) prompted the nickname "Old Kolk." I had a great deal of trouble with that word kolk; no particular language was owning up to it until Wolfram|Alpha said it means hip in Slovenian. Our man was apparently real enough because his birth and death "may still be seen on the grave" ― at least whenever that was written ― but no specific year or age is now known. That's about the extent of the man's personal information that I can extract from the trees on Geni, supplemented with links to archival and local history websites. All the accounts of Tiit use more or less the same words and phrasing; I can't be certain yet but they seem to derive from an unnamed page related to the URL of the Tartu Observatoorium website. 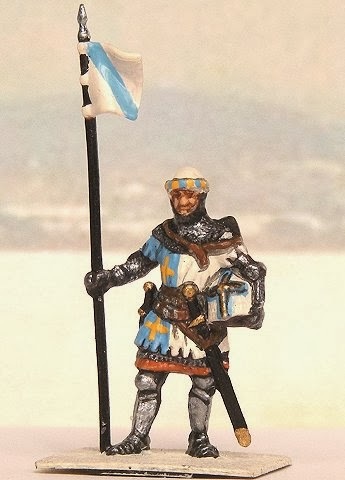 Based on practices in other countries, his being a soldier and possibly a knight could indicate his Viljandi lands were a reward for military service. In the 1600s the Swedish Empire extended over all of Livonia and further south. If we accept a mid-seventeenth century birth year for Tiit, and the existence of an adult son in 1690, then Tiit would have been integrated into his chosen surroundings well before the end of that century. I'm thinking from the information so far that the man likely died before the Great Northern War, and possibly before 1690 ― a theory to be explained in due course. It's worth a digression to mention that the concept of manors, or estates, developed here in the Middle Ages during the Crusades. Christianity only came to the region in the thirteenth century with the Livonian Order of Knights (part of the Teutonic Order). With the influx of robust bishops and knight-led retainers, the first estates were organized ― hence the predominant Germanic influence. Thus the native peasants were managed by loyal "vassals" of the landowners. Over the next few centuries manor estates became an all-enveloping way of life. The Livonian War that took place in the middle of the 16th century left local strongholds in ruins, but at the same time, it boosted the development of manors. Side by side with the disappearance of the Order and bishoprics, the former vassals began to play an increasingly important role in the local state arrangement. Nobility associations known as knighthoods performed in Estonia (in the whole of Old Livonia) local government functions up until World War I. The so-called knight manor ... became the main type of manors, the owner of which had a number of status-related rights along with many stately responsibilities. The number of manors had grown to around a thousand by the 18th century. Needless to say, the Baltic region has always been a site of conquest between warring powers. Despite intermittent bloody battles and changes in overlords, locally managed government generally continued. So the scenario of "knights" arriving periodically to settle and establish farms has historical legs. This strange tale has developed a life of its own. I shall have to continue into yet another blog post. The direct URL is http://www.aai.ee/~urmas/aba/abaja1.html (accessed 14 January 2014). But if one goes to the Tartu Observatoorium website (http://www.aai.ee/) it seems impossible to find the page. Töravere Observatory seems to be another name for the institution. 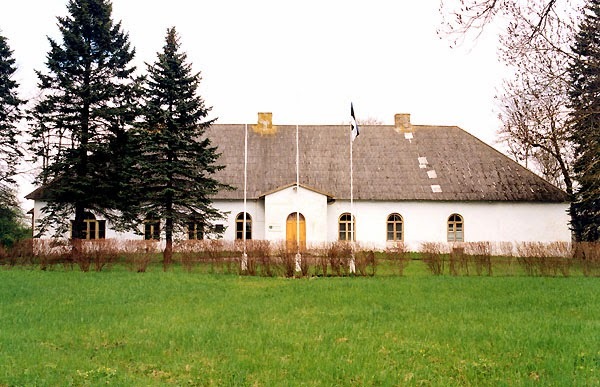 Estonian Manors (http://www.mois.ee/english/history.shtml : accessed 15 January 2014). The Book of Me as Written by You Me has its rewards. Above all it keeps me from noticing how I've lapsed on things genealogical. While I struggle with delayed but more edifying posts, this makes a welcome distraction. It also allows for as much cringing self-exposure (or silliness) as one's nature permits, along with the liberating thought that no-one on the interweeblies is forced to read our exposés. Special People (Prompt 14). Repeat the suggestions for Prompt 13. Uh oh. More socializing and food. But this time it's for ANCESTORS. So I can't invite a few old boyfriends out of simple curiosity ("and how did your life turn out with that boring bottle-blonde you married on the rebound?"). First off, I do want to say I am grateful to all the ancestors for their contributions to the family gene pool, making the present generations what they are. Speaking for myself, I would have appreciated fewer freckles and a lot more energy chromosomes. But thank you for good bone density, low cholesterol, and a healthy liver. * Eiwertil Riis my purported 7th-great-grandfather born ca.1670 in Viljandi region, Estonia; he has some 'splaining to do about his legendary father. Hits a nice balance between my Celtics and my Baltics, don't you think? Eight seems quite enough to keep me occupied, frantically recording their stories in between hugs and tears. We shall have a picnic, I think. I will order up a perfect day on Lake Superior. Lolling about on chairs and blankets and cushions near a beach, no-one will be able to escape my probing questions now that they see I too am a bona fide grownup. I've always wanted to try making that 7-layer terrine I scrounged from a French magazine about forty years ago: very complicated, layers of chopped chicken, spinach, ham slices, asparagus, boiled egg, paté, une petite tomate ferme, and so on — one brilliant tour de force encompassing the major food groups with massive doses of mayo to hold it all together. Don't look at me like that. Come on, it's not like these guests really have to worry about food poisoning. This could take place around the end of June so the only extras we need are some baguettes and strawberries with lots of whipped cream (dairy = calcium). Oh, who got me started on the foodie thing. Naff off. Now. Snow (Prompt 15) What a relief. A complete non-sequitur. Easy. 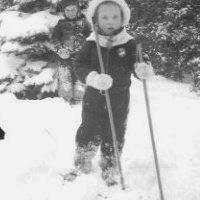 Snow is white and cold and I had enough of it growing up in northwestern Ontario and Manitoba to last a lifetime. Now it has followed me the odd winter into the city's geodome. Apart from the fact that most winters are odd these days. Unfortunately summers too can be odd lately. 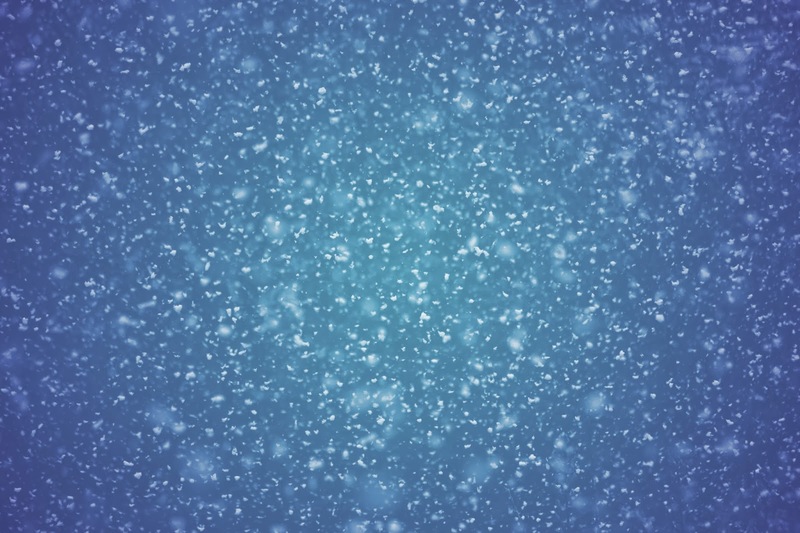 Look, I'm trying to find something good here to say about snow. It's for young people, isn't it. That's what I've decided. Skating and skiing. Toboggans. Frostbite. Should I even mention ski-doos? Well, I did my share; then I moved on. There's a lot to be said for comforts like fireplaces or heading south whenever possible. Message in a Bottle (Prompt 16) ... be serious! Write a message that a stranger somewhere in time and space might discover? For sure my bottle would go into Lake Superior in the expectation it would transit through the Great Lakes out the Gulf of St. Lawrence into the Gulf Stream and end up in Murmansk or maybe bobbing along the west coast of Africa; who knows — what with the aforesaid weather doing its own independent and undependable thing. ‒ It's over. It's O-O-O-VER! And so forth. I really don't expect the stranger will care one way or another about footnotes. On that note the editorial we are collapsing till next time. Attributed to The Book of Isaiah in two different chapters. Joseph Finsbury (Sir Ralph Richardson) in The Wrong Box, on the cause of death of his brother. Sumaiya Kazi, 16 Jan 2012 on Google+. Probably said a trillion times but Roy Orbison sang it like an aaaaangel! Somehow, some time ago, a distant cousin pulled me into the Geni networking website. I cooperated on the initial level, thinking this would give me a leg up on Latvian ancestors that turned into Estonian ancestors because I don't know the languages and can barely navigate Saaga, the excellent Estonia archival site of digitized historical and genealogical records. For me, the Geni learning curve was rather steep. I didn't find their mechanisms particularly user-friendly. Therefore, much tearing of hair to straighten out the craziness that either I or the cyber gods had manipulated on my fledgling family tree: my ex-husband was shown as my father, my father was my brother, and such-like nonsense. The connection had to be shown because timewise, the Riis family is a very long way from someone with the names Dougall and Merriman. The process was compounded, naturally, by the struggle to communicate with others pursuing the same family. The newest information on one direct line is pieced together from numerous offerings on the site. I do not know the contributors nor their research habits but few have cited specific sources of information. The exercise is for my own clarity, for what it's worth. Mistakes herein with spelling in noun cases and diacritic marks are solely my melancholy responsibility. What I knew in advance through reliable research (not mine) in Latvian and Estonian records — population schedules of farms and Lutheran church registers — was that my great-great-grandfather Janis (aka Jaan, Jahn) JURIKAS was baptized 24 June 1793 in Tori parish, now Estonia, son of Jűrri and Ann Jurikas of the Alliko farm. Janis married Liso RIIS about 1813-1814. She was born in 1794 on the Vastemöisa estate in Suure-Jaani, a parish to the east of Tori. "Estates" were also known as manors. They were generally owned by upper-class Baltic Germans, Baltendeutsche, whose families had generations of residency. A parish, so-called, might be a religious or a civil administrative entity. Janis moved his family from farms on one estate to another over a forty-five year period, traced in six different estate records, also known as "revision lists" because they would be amended from time to time to show migrations and other notations. A little more on that here. It was unusual in the early nineteenth century for a peasant to make such changes unless the next estate was owned by the same landlord (not the case in his journey). The children's baptisms in different places also reflect the family movements. 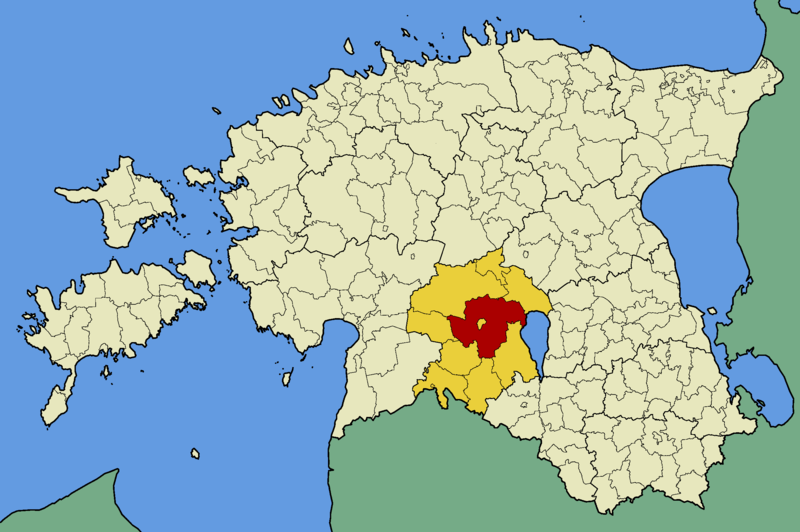 Estonia and northern Latvia as we know them today were, in that time, a province of the Russian empire. There were no geographical or political boundaries as such between them in Janis' day. We can only make guesses at why he kept moving (or was allowed to move). Family lore speaks of his rebellious nature, his small acts of disobedience against the stifling restrictions of peasant life. His later conversion to the Orthodox faith (more in a prior post) supports this portrait. On Geni, the generations from JURIKAS back to RIIS accelerated into multiple greats. At least seven researchers have input and/or agreed on the lineage (a happenstance that does not make it so!). Herewith, in brief, the bare information from my "Merge Center" on Geni with its linked connections — at face value for now. sources: "according to the Church Book was born c1856"
sources: "popular tradition" – "Both were born Teramane (Abaja) farm"
The "sources" above are merely my quick summaries from the individual profiles. Online translation programs are a daunting experience, trying to making sense of the resulting gabble! It's clear to me that some types of records revealed the specific dates of death but they aren't mentioned. Approximate years of birth were calculated from a man's age as an adult on an estate or tax list. The timeline back to Hans looks plausible but things get even fuzzier after that. While potential sources for all vital events such as baptisms and burials have perhaps not been uncovered (wouldn't it be gratifying to see some marriages!) religious records are scarce before the mid-eighteenth century. Preliminary evaluation only shows the obvious holes. My admiration is boundless for those family historians who doggedly overcome the difficulties of tracing people with no surnames in a foreign country, foreign language, in the eighteenth century and earlier. The folklore about Tiit Kolk and his origins is interesting, to be investigated for another post. There's work to be done on geography and history and records and the language barrier. Eight greats may begin to materialize ghost-like but require much more substance to be real or true. Pärnu Eliisabeti (Pärnu, Estonia) Lutheran baptisms, 1793; Estonian Archives (EAA) 1279.1.142, p. 258. Vecsalaca, Latvia, revision list 1834; Latvian State Historical Archives (LSHA) 199.1.399, pp. 189-190. Jerusalem cemetery outside the walls on the slope of Mount of Olives; photo BDM November 2011. It's also New Year's Day and Hump Day as well!